Like distributing food, distributing medicine is a good thing … as long as it lasts. But there are times when giveaways needn’t last particularly long. A one-time gift of food or a vaccine can be all some people need to pick up and get on with their lives. For others, more is needed. So we seek not only to deliver health care to the world’s poorest, we aim to make other areas of their lives healthier. Nutrition, for instance, lays a groundwork for lifelong health. Poor nutrition, especially in early childhood, can cause persistent disadvantages. Catholic Relief Services’ nutrition work is often integrated into our education, agriculture, water and sanitation, HIV and AIDS, and other health programming. Improving hygiene, an acute need following natural disasters, also fosters a culture of health that can last long after a given project ends. So along with food and shelter support, our hygiene and health expertise is part of CRS’ emergency response following natural and man-made disasters. Ebola, cholera, malaria, tuberculosis, Zika and many other diseases require specialized treatments and approaches. Some diseases can be healed quickly, but others require long-term treatment. 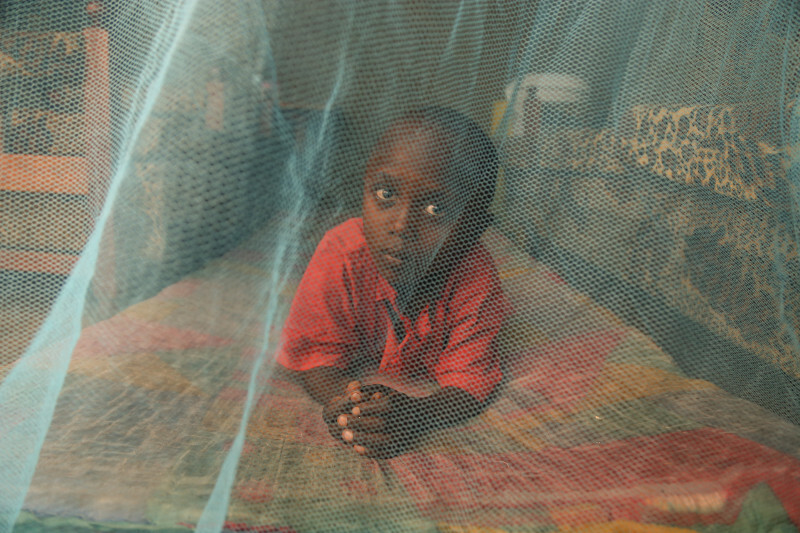 Malaria, for example, requires both immediate treatment and long-term prevention. Our malaria programs place special emphasis on children under 5 and pregnant women—who are the most vulnerable to sickness and death from the disease. We work with families, communities and health facilities. Dealing with conditions that enabled disease or ill health is as critical as treating the illness. So along with treatment, we also look at why, or under what circumstances, illness occurs. Another key to our success in building healthier communities is partnership. We work closely with Church and faith-based groups, which provide as much as half of the health care in some countries. They know and live in the remote communities we serve. These partnerships are critical to establishing sustainable health care. We also help strengthen partnerships between the Church and community caregivers, and between public and private systems. Strong provider networks help ensure quality and sustainability. In our mission to improve the lives of the poorest and most vulnerable, CRS invests heavily to improve individual health and the local systems that promote and deliver health care. Thank you for supporting our health care work around the world.